An earthquake. The ground collapsing beneath one’s feet. Everything around you that is established and familiar giving way to things new and strange and frightening. We’re only human so don’t judge too harshly the America that woke up on a February morning more than five decades ago to learn the whole world had turned upside down. Clay and Liston at the weigh-in. 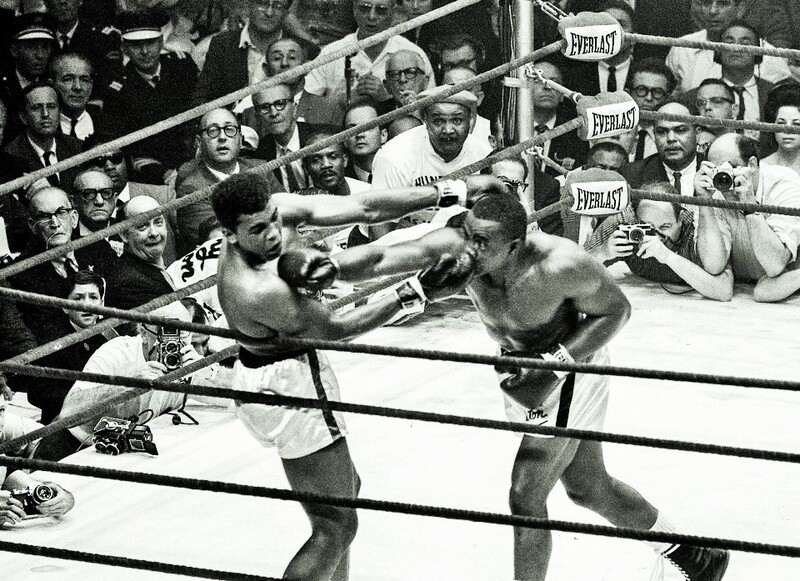 Cassius Clay wasn’t supposed to be for real. A braggart, a clown, a walking publicity stunt. Not someone a deadly puncher like Sonny Liston would ever need to worry about. Just a loudmouth, a showboat, who’d do and say just about anything for attention. Did some bizarre training stuff underwater. Went to Liston’s house and woke him up in the middle of the night. He was even hanging out with those weirdo Black Muslims, shaking hands with Malcolm X. How could a guy like that ever be the heavyweight champion of the world? But it’s February 26th, 1964, and now he is. Good lord, what is this country coming to? What the hell is going on? The boxing experts couldn’t make sense of it either. No one with any brains had picked Clay to win. 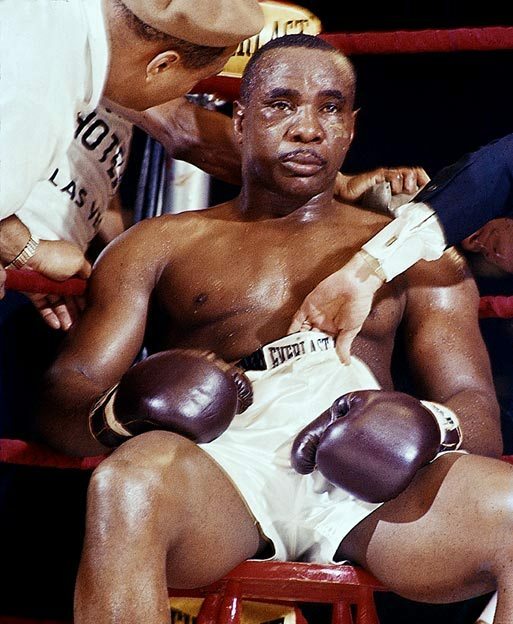 Sonny Liston was huge and powerful and definitely for real, so real he had knocked out champion Floyd Patterson in the first round. Twice. He had arms as big as the branches on an old oak tree, fists the size of hams. He was mean as sin, a henchman for the mob, an ex-con. To cultured, upstanding, white Americans, he was an embarrassment, a disgrace, but at least the kind they could understand. And at least he kept his mouth shut. 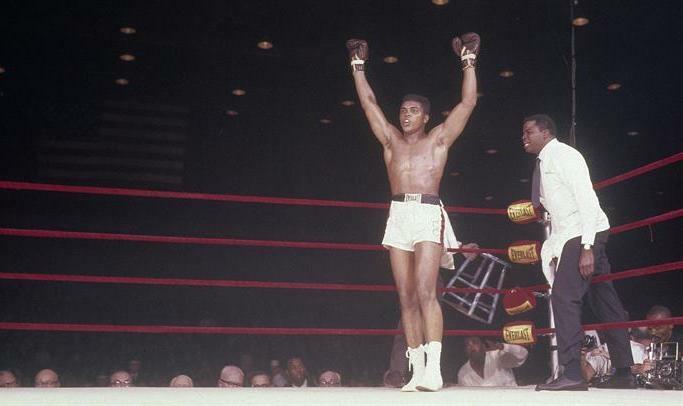 Cassius Clay, heavyweight champion? Unbelievable. What had happened to boxing? Used to be safe, predictable. The palookas did their thing and regular folks watched and even made some money on the side if you knew what the angle was, kept your ear to the ground. Now Joe Louis, there was a black man who knew his place, kept his mouth shut and kept his dignity too. It was sad watching him get beat up by Marciano and then the IRS, but hey, at least he won’t end up blind and penniless like Sam Langford. It’s not America’s fault these guys don’t know what to do with their money. Oh, yeah, Louis was a real stand-up guy donating all that cash to the war effort though. Gotta give him credit for that. Thanks, Joe. Patterson was okay too. A nice, humble, quiet guy. Though he seemed a bit small to be a real heavyweight. No doubt Marciano could have cleaned his clock if he’d wanted to but “The Rock” walked away and now look where we’re at. 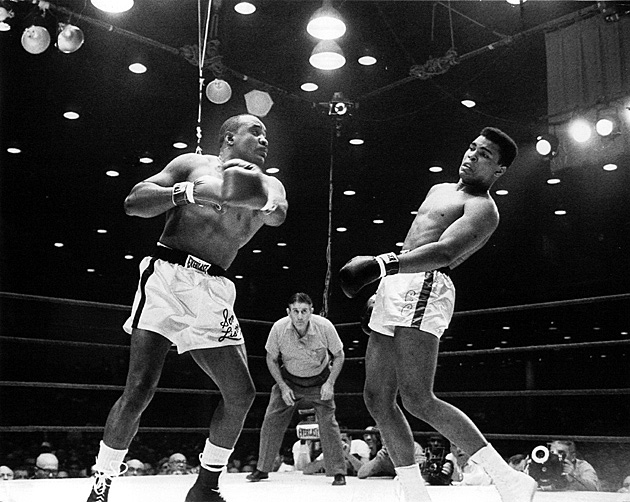 All across America, people watching the closed-circuit broadcast, shaking their heads and muttering, “What the hell is going on?” as Liston sat in his corner and Clay went nuts, dancing and running all over the ring like some crazy man. Damn good question. It was a right hand in the very first round which signalled something was amiss. Before that, so much dancing and skittering around from Clay, pulling his head back from punches: what kind of boxing was this? Liston chasing and chasing and Clay snapping that jab in his face until he threw a right hand lead and it landed flush and stopped Sonny in his tracks. 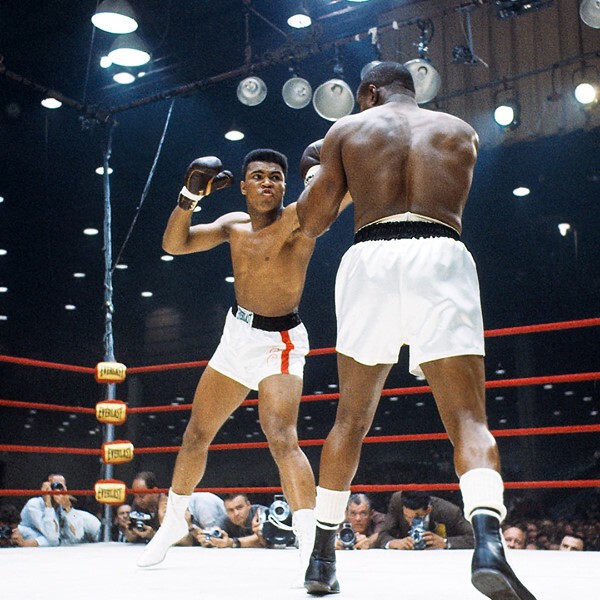 The crowd roared as Clay followed up with a left and Liston gave ground and then ate another right hand, and then a left, and then a one-two. That was the harbinger, the portent, the sign the wholly unexpected was about to take place. Things were about to get real weird, real fast. In the second Liston just kept missing and missing. How could he knock this kid out if he couldn’t corner him and couldn’t land anything? And then seconds into the third he got tagged by a sharp right, then another, and another, and suddenly it was Clay chasing Liston and letting his hands go, a total reversal of what was supposed to happen. The world momentarily righted itself for a few seconds when Liston found his footing and unleashed some big shots, putting the challenger on the run, but nothing landed clean and then there was Clay opening up again, a right and three lefts, and by then everyone could see the blood: a cut under Liston’s left eye and a welt under his right, with more blood coming from the nose. 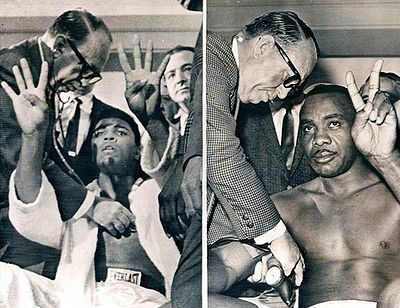 Sonny Liston battered and bleeding. And it’s only round three. What the hell is going on? By this point anyone with eyes and any understanding of The Sweet Science knew what was about to happen. Not only was Clay too fast and elusive for Liston but, astonishingly, his punches were hurting the supposedly invincible champion. In the fourth it was back to Liston chasing and chasing, but he kept missing and kept bleeding, but before the reality of the situation could really sink in, something strange happened. There was a commotion in Clay’s corner before round five, the challenger shouting and waving his hands around, and when the match resumed he was shaking his head and blinking furiously. 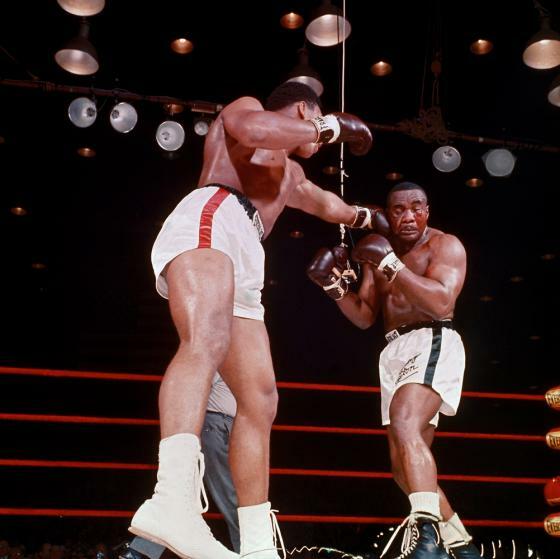 Liston closed in and unleashed a furious barrage of leather, some 15 unanswered punches and again, for a moment, it seemed as if reality was reassuming a familiar shape, until you realized all those punches had had no effect on Clay. 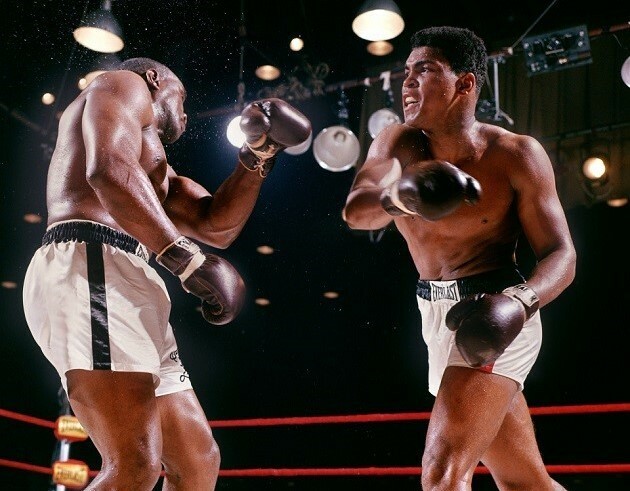 A pair of left hooks got home and a right snapped the challenger’s head back and seconds later Liston’s best shot of the whole fight landed, a heavy left hook on the jaw, and something weird was definitely up because Clay took the punch with no difficulty whatsoever. How could this be? By round’s end he had gotten his legs back and was snapping home that sharp jab again while Sonny suddenly looked like a man who very much wanted to be anywhere else. In the sixth Clay couldn’t miss. 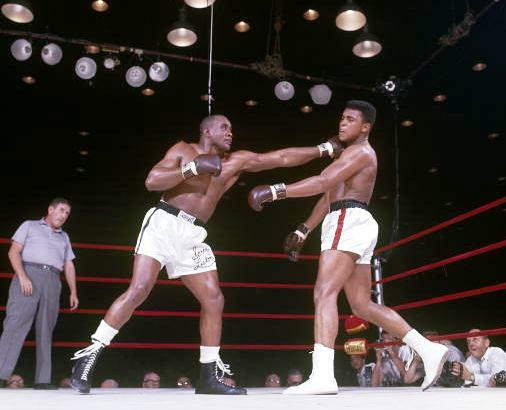 He was spearing the champion with the left lead and following with the right and Liston was doing little more than tossing out feeble jabs and giving ground. The pace had slowed to a crawl and at the bell Sonny trudged back to his corner like a very tired man looking for a place to lie down. 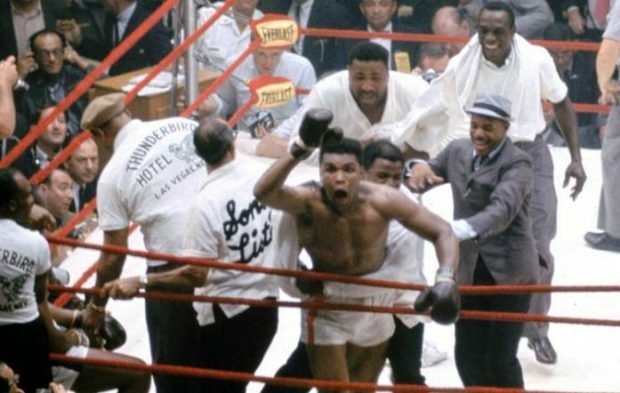 He slumped on his stool as his handlers crowded around him and when they hadn’t left the corner a minute later Cassius Clay started doing a victory dance and the referee was raising his hand. And the answer is the Good Ol’ U.S. of A. is changing. Big time. It’s 1964. Some odd music act called “The Beatles” is on the radio all day, and the Soviets are putting rockets into space, while shameless “Ya-Ya girls” are going around in mini skirts, and there’s all this talk about desegregating schools, and just a few months ago the President of the United States was shot and killed in broad daylight. And now this: some big mouth freak who can’t shut up and calls himself “The Greatest” is the heavyweight champion of the world. The moment Clay knew he had won. Like stepping into a time machine,thank you Michael.